ILMINSTER CARNIVAL ANNUAL MEETING 2019 Tuesday 26th February at The Shrubbery Hotel Starting at 7.30pm. We are looking for additional help to ensure Ilminster has a successful 2019 carnival. 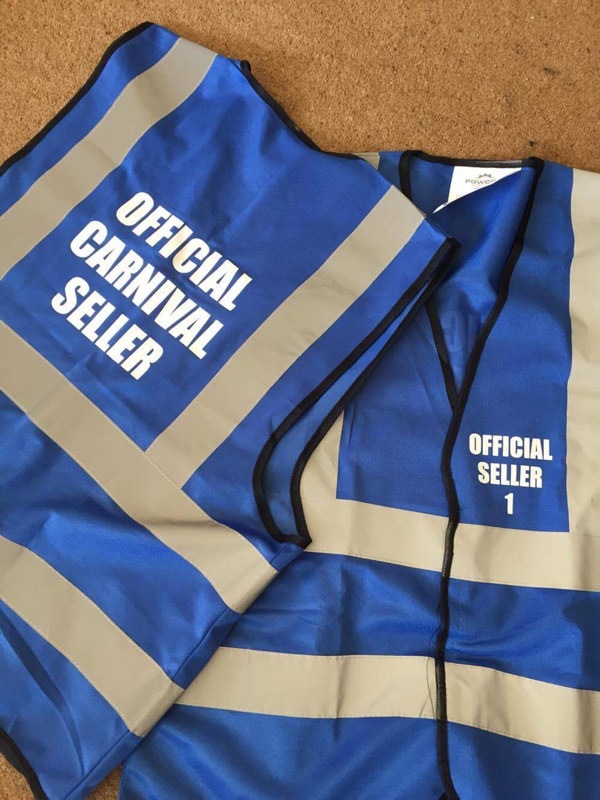 There are various roles which are an important part of the carnival such as marshalling, collecting and selling the official carnival merchandise . If you are interested please come along to our annual meeting to find out more information. 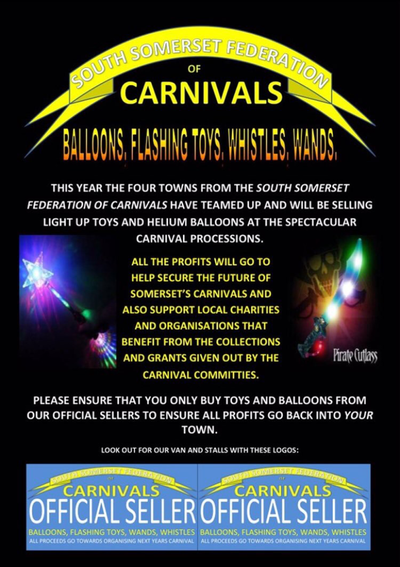 The South Somerset Federation of Carnivals leaflet has now been printed and will be seen within various locations in Ilminster and the other towns in the coming weeks. If any businesses or organisations would be interested in helping to distribute the leaflets please get it touch through our Facebook page. Thank you to everyone who showed their support at Ilminster Carnival yesterday, thanks to your generosity we collected just over £3600! The B3168 from Box stone cross to the junction of Townsend will be closed for line up from 2:30 PM. East St, Silver St, West St, then onto Station Road will close from 6.15pm, there will be NO parking along these roads at all as it is the procession route. From Hort Bridge to Riec sur Belon way will be closed from 6.45pm . Traffic can come out from the Stonemasons and go up Canal way and out of town by going up listers hill, they will not be able to go out of town via Station Road. There is no parking along Canal way from the Stone Masons to the Dr Surgery roundabout as this is an escape route if necessary. Ditton st, Listers hill right out to Moolham Lane there will be no waiting cones on one side so there is only parking on one side of the road this is also to ease congestion after the carnival. In past years when we have had a lot of congestion after the carnival this has been caused by people parking where the yellow cones are. They are put there for a reason, we don’t put them out for fun please. If there are yellow no waiting cones please do not park there. We have no control as to when the roads will re-open this is down to the police and they will not reopen any roads until the crowds have dispersed and they feel it's safe to do so, as public safety is our priority. They will endeavour to get them open as soon and safely as possible. Parking along the Butts the (B3168) by the Fire station/ Ambulance station. There are no restrictions along here but as it's inside the route you will not be able to get out until the roads reopen then you will have to go towards Yeovil the police quite often cone by the Old Police station and Ambulance station themselves for emergency access. We hope you enjoy the night as much as we do. Thank you for reading this and here's to a good Collection . To raise money for Ilminster Carnival this year, we have a quiz night at The Shrubbery Hotel in Ilminster which has been organised by Ilminster Rotary Club on Wednesday 4th October. Teams of 4 for £6, 7pm for a 7.30pm start. Everyone welcome. FUNDRAISING OPPORTUNITY FOR LOCAL GROUPS!! We've got opportunities for local groups, charities and organisations to fundraise on carnival night. 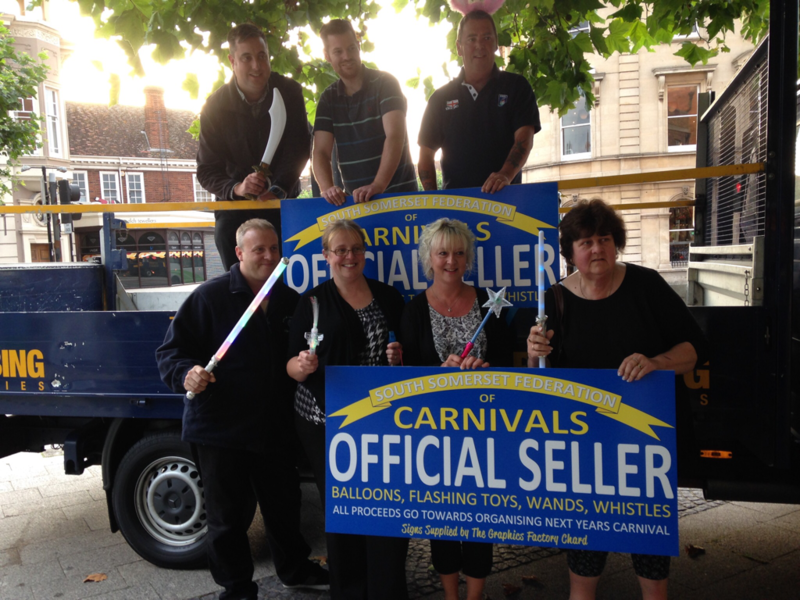 Following last years success of our pilot scheme selling carnival merchandise, we've decided to expand!! 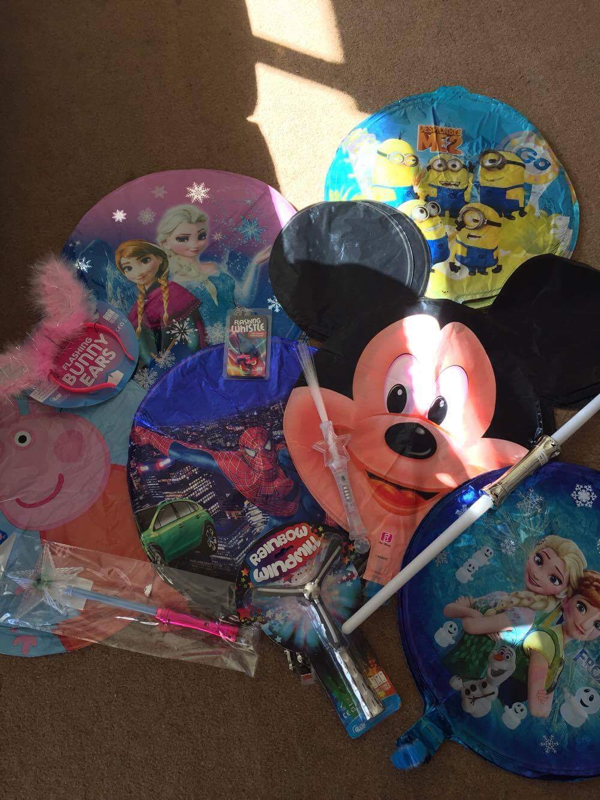 We're looking for people to sell light up toys from various stalls during the carnival procession!! We're hoping to have at least 3 or 4 stalls throughout the procession route, if you'd be able to run a stall (or 2!!) then please do give us a shout! In return you'd be first in line to receive a donation for your cause at the start of next year. For more information please contact us through our email address ilminstercarnivalcommittee@hotmail.co.uk or private message us on Facebook. Thanks, as always, for your continued support to help secure the future of Ilminster Carnival. The entry form for this years main procession is now available and can be found under the 'processions' section of our website. Items will be sold in the Market Square and along the route from 6.15pm. Please only buy from the official sellers to ensure the money goes back into the carnival. East St, Silver St, West St, then onto Station Road will close at 6.15pm, there will be NO parking along these roads at all as it is the procession route. From Hort Bridge to Riec sur Belon way will be closed at 6.45pm . In past years when we have had a lot of congestion after the carnival this has been caused by people parking where the yellow cones are. They are put there for a reason, we don’t put them out for fun please. If there are yellow no waiting cones please do not park there . We have no control as to when the roads will re-open this is down to the police and they will not reopen any roads until the crowds have dispersed and they feel it's safe to do so, as public safety is our priority. They will endeavor to get them open as soon and safely as possible. Parking along the Butts the (B3168) by the Police station/ Fire station/ Ambulance station. There are no restrictions along here but as it's inside the route you will not be able to get out until the roads reopen then you will have to go towards Yeovil the police quite often cone by the Old Police station and Ambulance station themselves for emergency access. 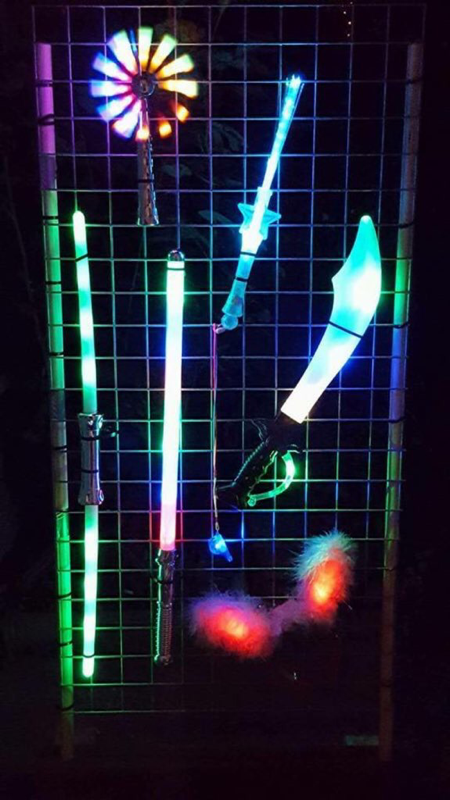 Thank you for reading this and heres to a good Collection . Ilminster Carnival Committee would like to thank everyone who helped organise and take part in the Children's Carnival on Saturday 24th September 2016. Below is the official poster for Ilminster Carnival 2016 featuring all details such as our quiz and processions. The next South Somerset Carnival Park meeting will be held on Tuesday 26th July at the Shrubbery Hotel Ilminster starting at 7.30pm. Any club, group or organisation with interest please make every effort to attend, your help is required if progress is going to continue. 12th October 2015: Do you know when we held the first ILMINSTER Carnival? committee chair Kym Toms said, :"I understand that it used to be a hospital carnival and that it stopped during the war years, we have been running longer than chard carnival and in the Heritage of the Ile Trust records there are carnival photos dating back to the 1800"
3rd October 2015: An Ilminster Carnival Committee spokesman said: “We would like to praise members of the public watching for their patience and co-operation during the evening while various situations were dealt with including the Carnival being temporarily stopped to allow for the safe removal of Eclipse’s float which then allowed Carnival to continue. ILMINSTER Carnival organisers have announced that around £3,100 was collected during the parade on Saturday (October 3, 2015) through the town. Organisers have thanked everyone for all their donations and all those who went around with collecting tins. 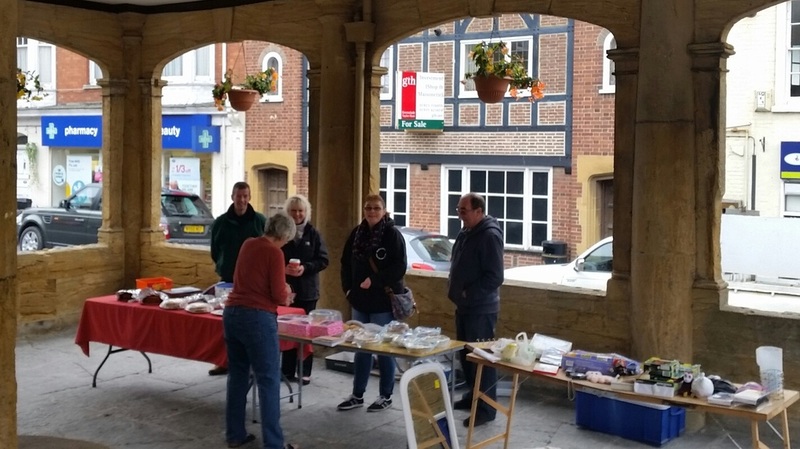 2nd October 2015: Fundraising this morning in the market square, selling Delicious cakes. 26th September 2015: CROWDS of people lined the streets of Ilminster to see the town's annual children's carnival at the weekend. A prelude to Saturday's main carnival, the children's procession saw hoards of youngsters parade from the Ile Youth Club and through the town in what turned out to be another memorable event. Grants were awarded to local community groups and to voluntary organisations who assisted with the carnival. 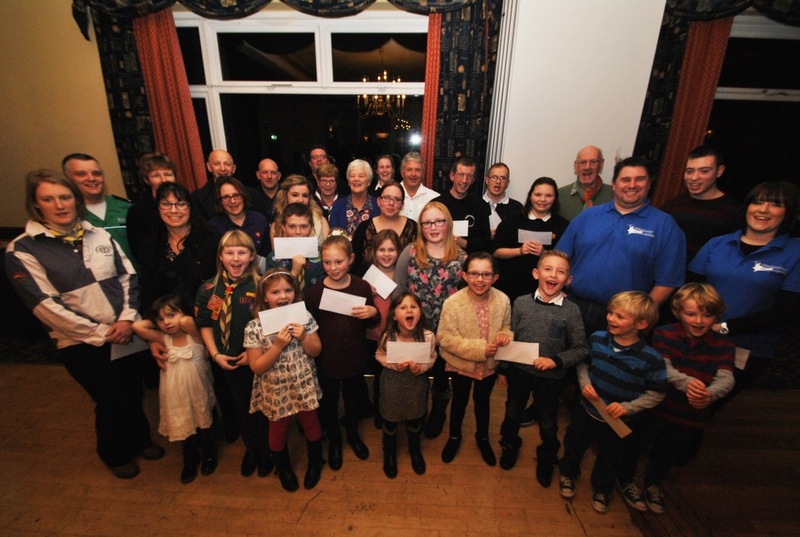 Local Carnival clubs were also awarded grants to assist with their entries for this year. 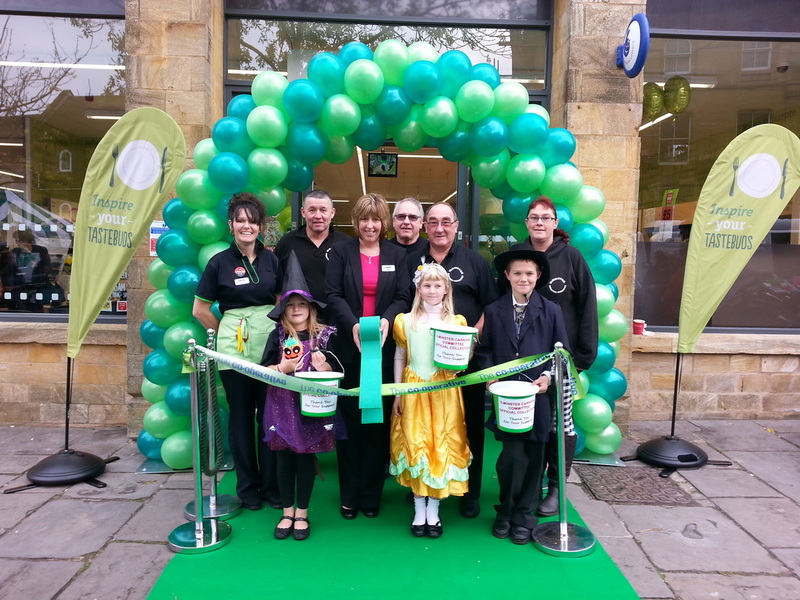 November 2014 Representatives of Ilminster Carnival Committee help Store Manager Debbie Rodway (with the scissors) and members of The Co-operative food store team to declare the new-look store open for the community. The store, which includes a Peacocks concession, opened yesterday (Thursday, 30 October) following a £500k investment. The Ilminster Carnival, which raises money to distribute to local good causes, will be the focus of The Co-operative food store’s in-store fundraising for the remainder of the year.